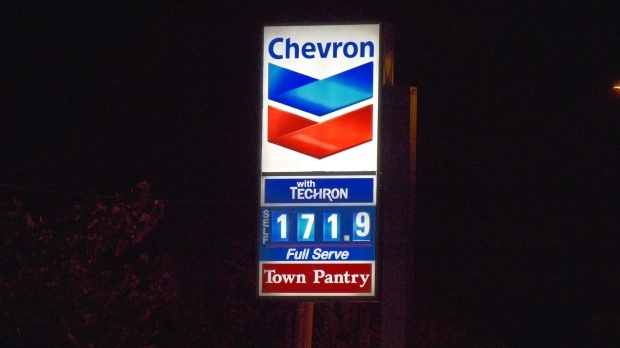 Drivers hoping for relief when they filled up early Monday were disappointed to see the price of gas had climbed again. After a week of pain at the pumps, stations jacked up the price even higher overnight, with some stations charging 171.9 cents per litre. Carbon tax info: Why drivers are now paying more for gas in B.C. 'Pumped Up Prices' series from 2018: How can Costco charge less, and when's the best time to fill up? The prices at the Chevron station at Nanaimo Street and East 1st Avenue, was among the highest, while other stations were charging a bit less. The Petro-Canada at East Hastings and Renfrew streets was charging 169.9. Those heading through Burnaby might have been able to save a bit, as CTV News spotted at least one station charging 10 cents less. Refinery issues in California are being blamed for the recent spike, but as we approach the long weekend, it's possible prices will rise even further. Stations are also making the switch from winter to summer gasoline, another factor expected to cause an increase this week.